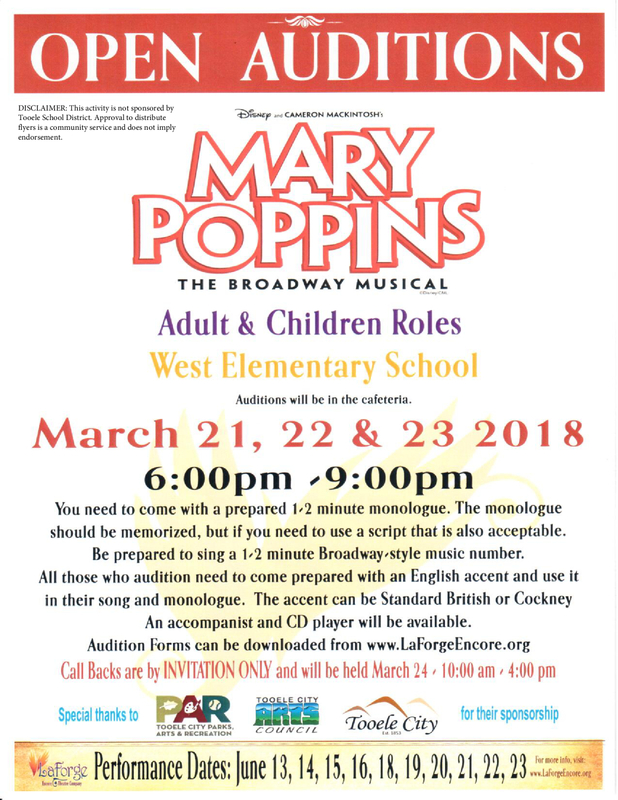 LaForge Encore Theatre Company is currently working on its production of Mary Poppins! AUDITIONS will be held at West Elementary on March 21, 22, & 23 from 6:00 to 9:00 p.m.
Come prepared with a 1-2 minute monologue. Be prepared to sing a 1-2 minute Broadway-style music number. All who audition need to come prepared with an English accent and use it in their song or monologue. 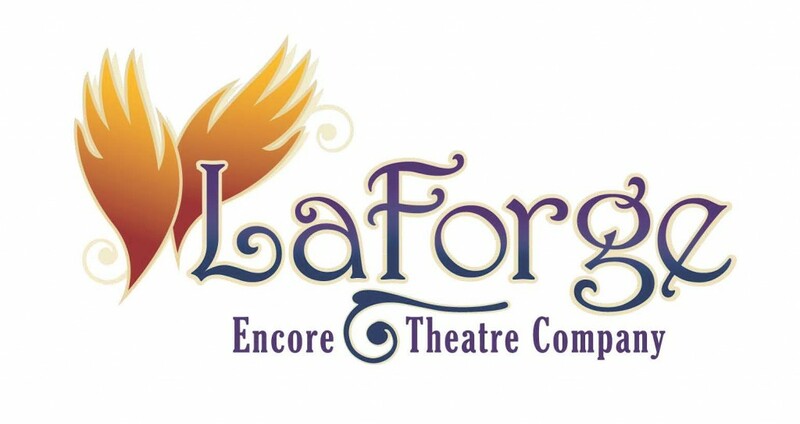 More information is available at www.laforgeencore.org. CALL BACKS will be held by INVITATION ONLY on March 24 from 10:00 am until around 4:00 pm.